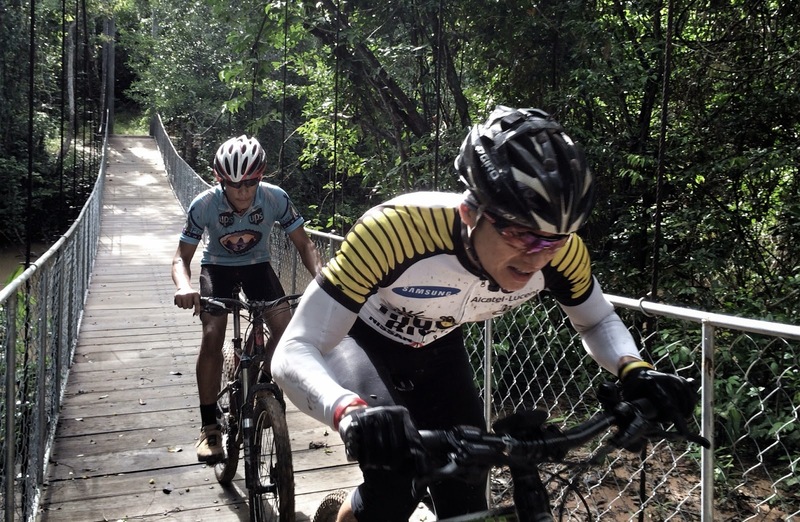 My mountain bike adventure in Siem Reap was on relatively flat terrain. Day One ride culminated with the highest point at Khnom Kraom Temple at 100 metres, not sufficient hill training leading up to the Mongolia Bike Challenge in September. 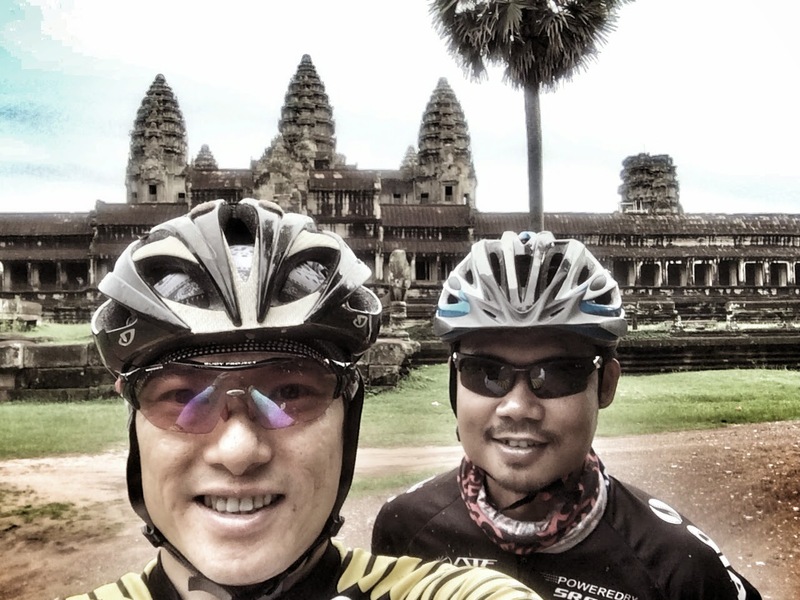 Nevertheless, I had a great time with Samnang and Rong from Camouflage Adventure Cambodia who were very hospitable and shared history commentaries as we traversed Angkor Wat and Angkor Thom complex including the Tomb Raider Temple, Ta Phrom. 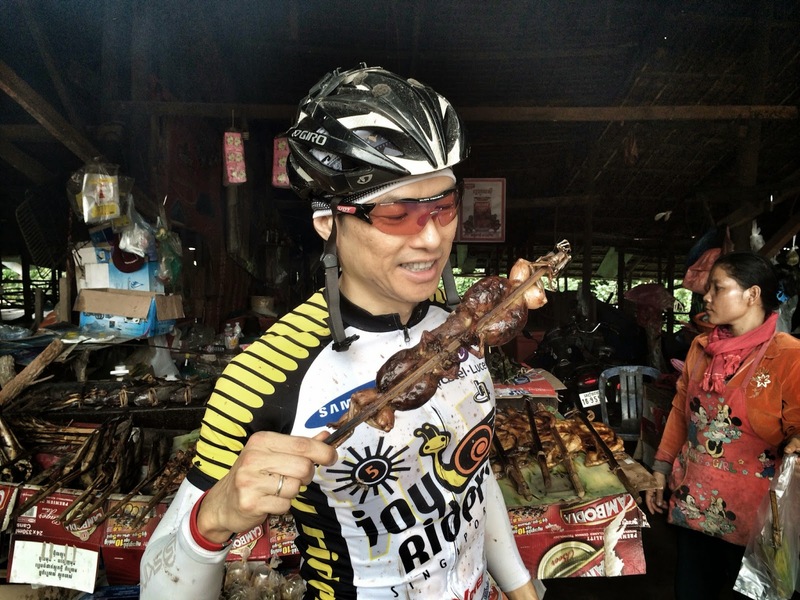 Day two was also an eating adventure ride as we stopped numerous times along the way - pork tripe rice porridge, muesli and coffee, vegetable and meat soup, coconut juice, BBQ stuffed frog and durian, more durian and finally light Khmer lunch box at bike shop. 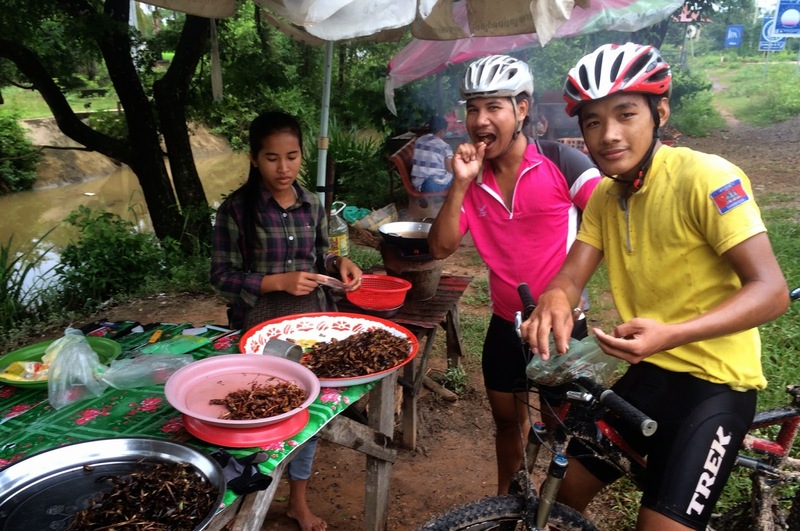 Day three was sandy and wet through villages and we finished with a hard 34 km "time-trial" ride on National Highway 6 to Puok, turned around but stopped for some fried grasshopper and cricket as I was hungry, before ending in beautiful Siem Reap.